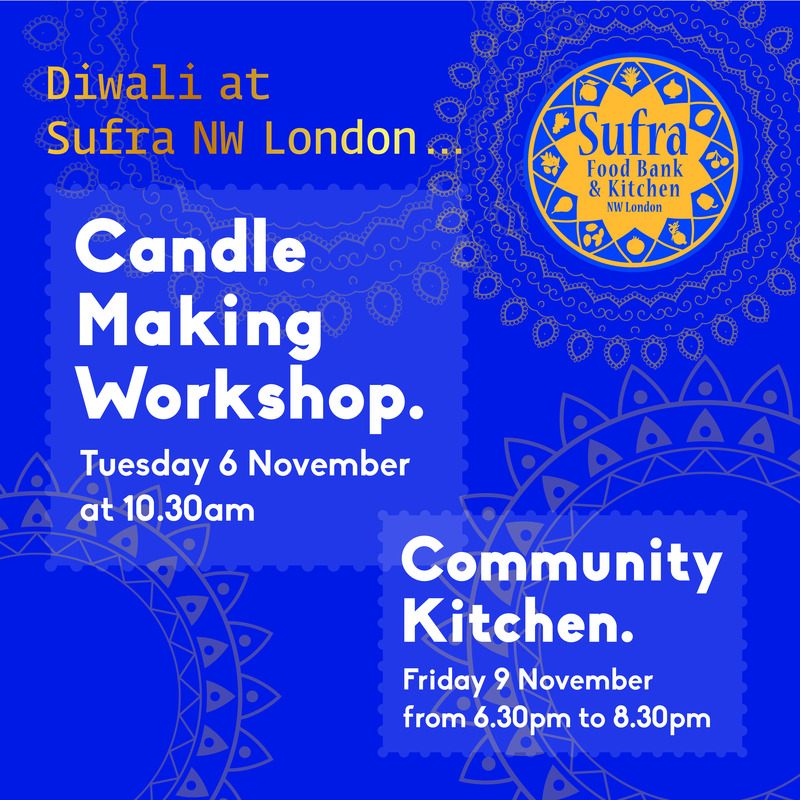 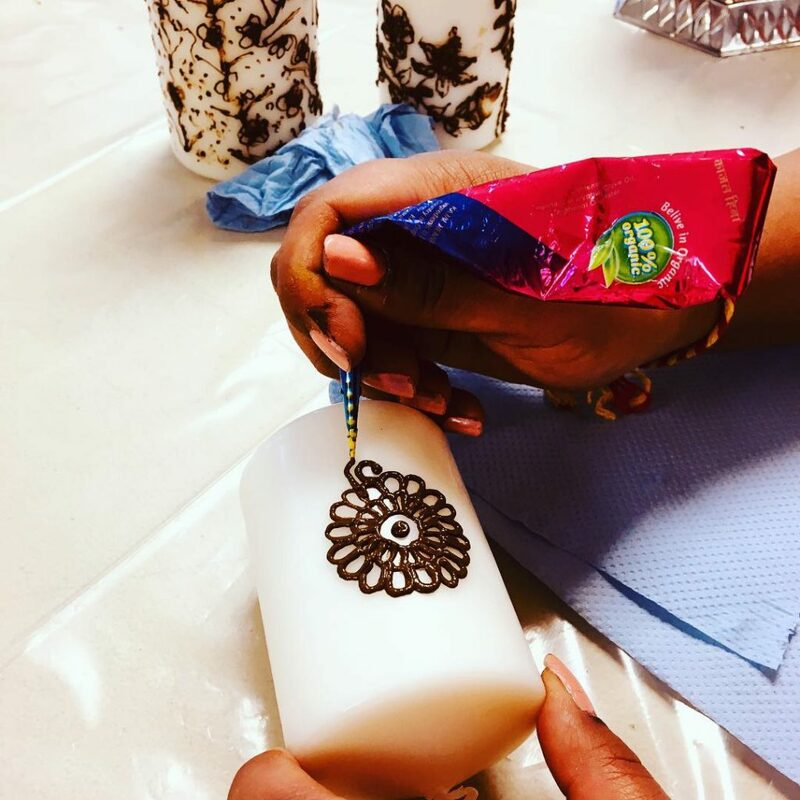 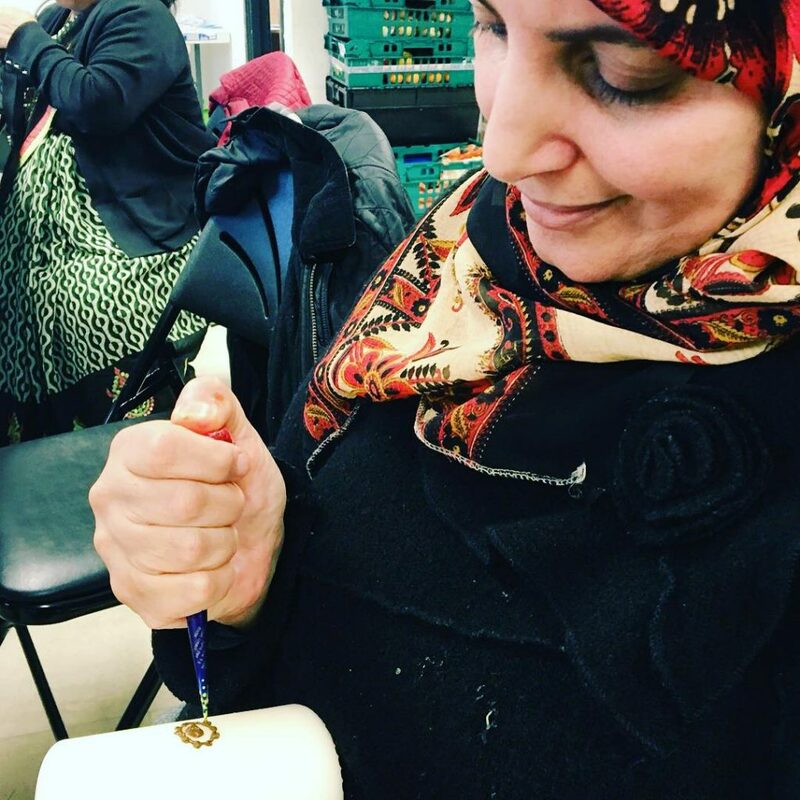 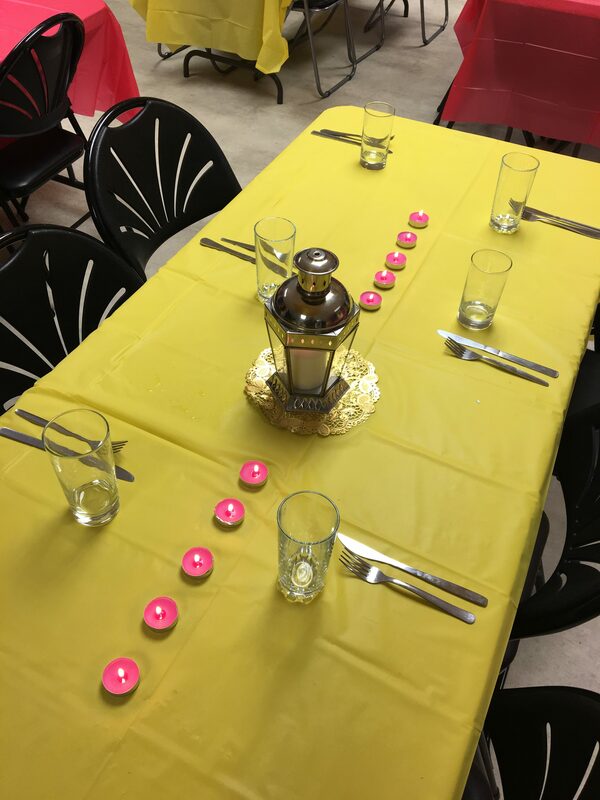 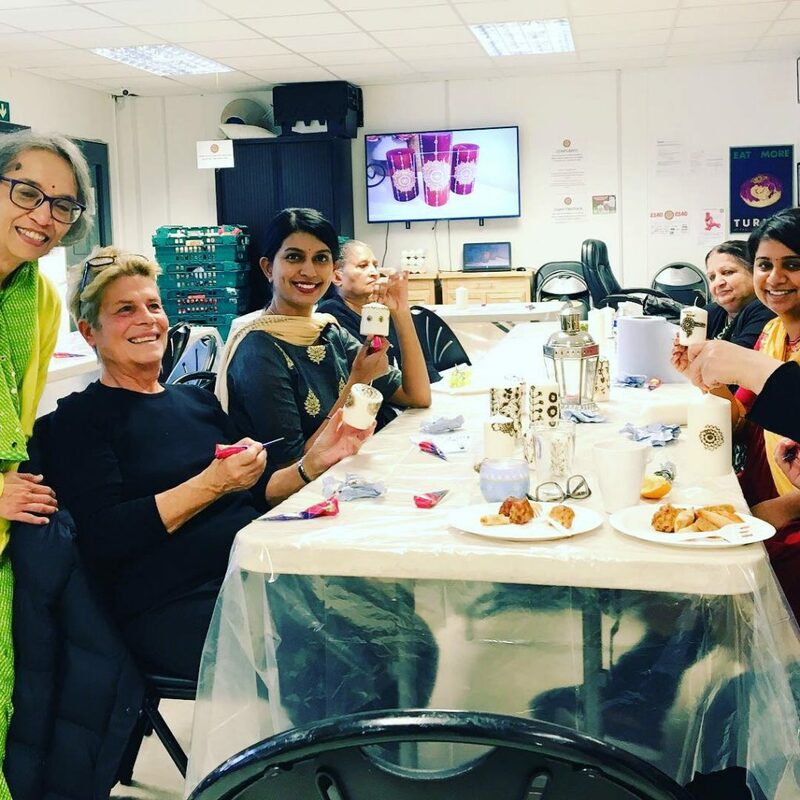 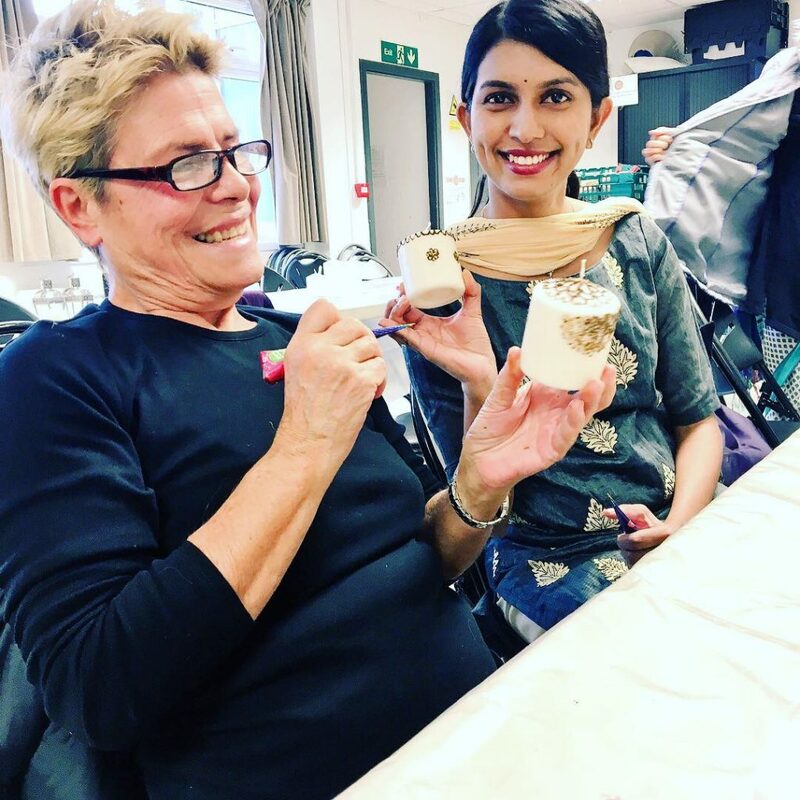 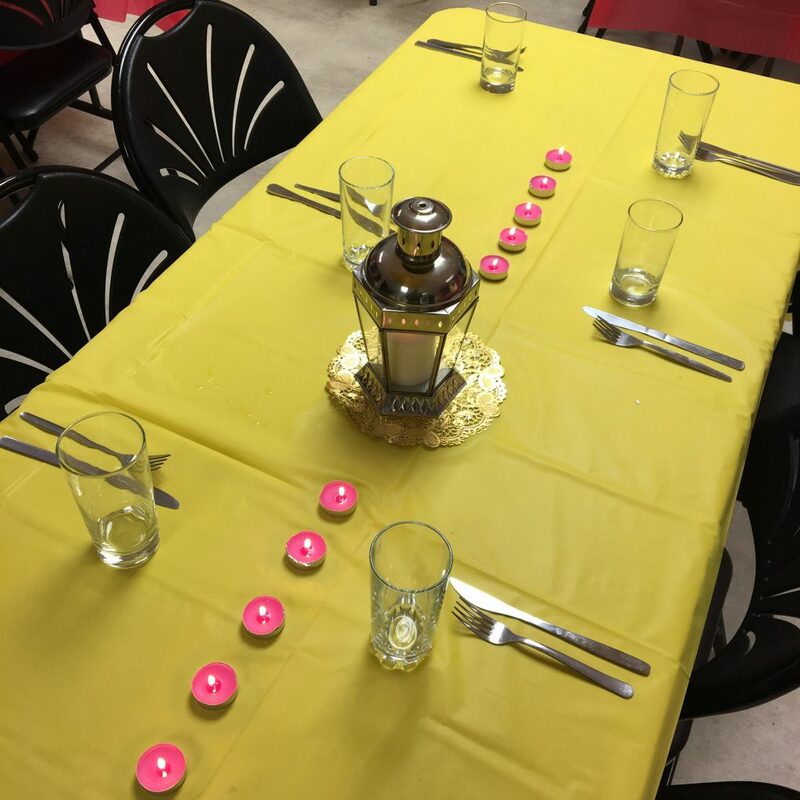 As a part of our Diwali Celebrations at Sufra NW London, we held a candledecorating event where people of all faiths and backgrounds were brought together to do something creative and bond over a hot cup of tea (and a tube of henna). 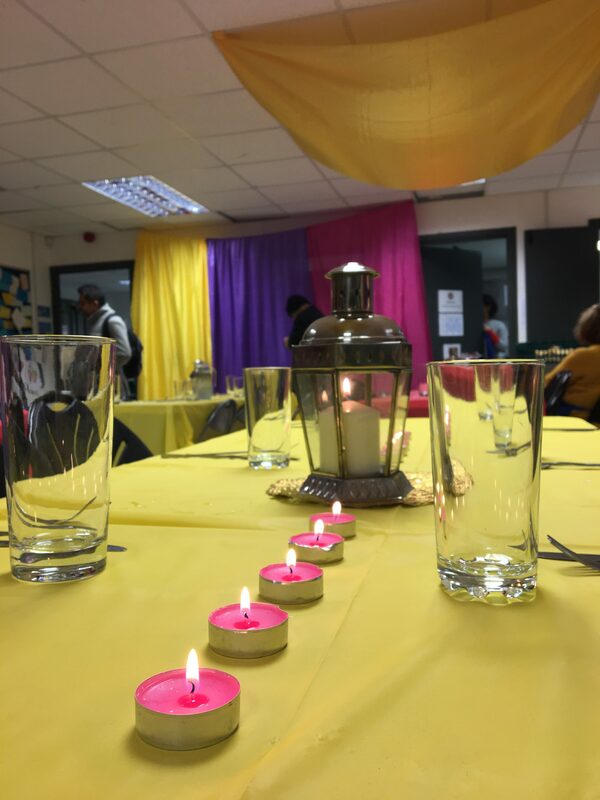 We were invited to take our decorated candles down to BAPS Shri Swaminarayan Mandir, where they were placed alongside the hundreds of other candles that lit up Diwali at the temple. 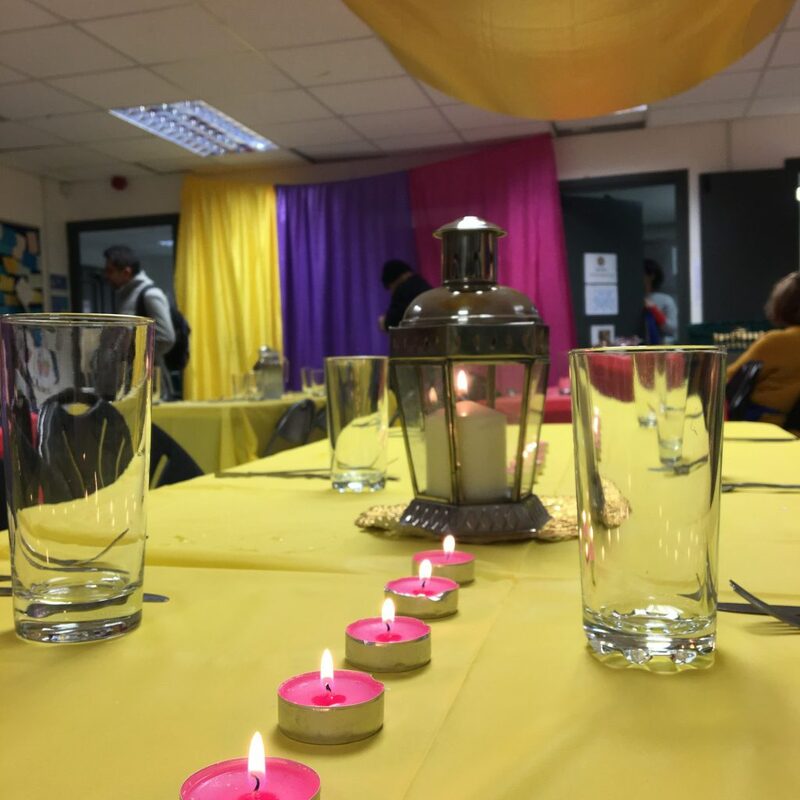 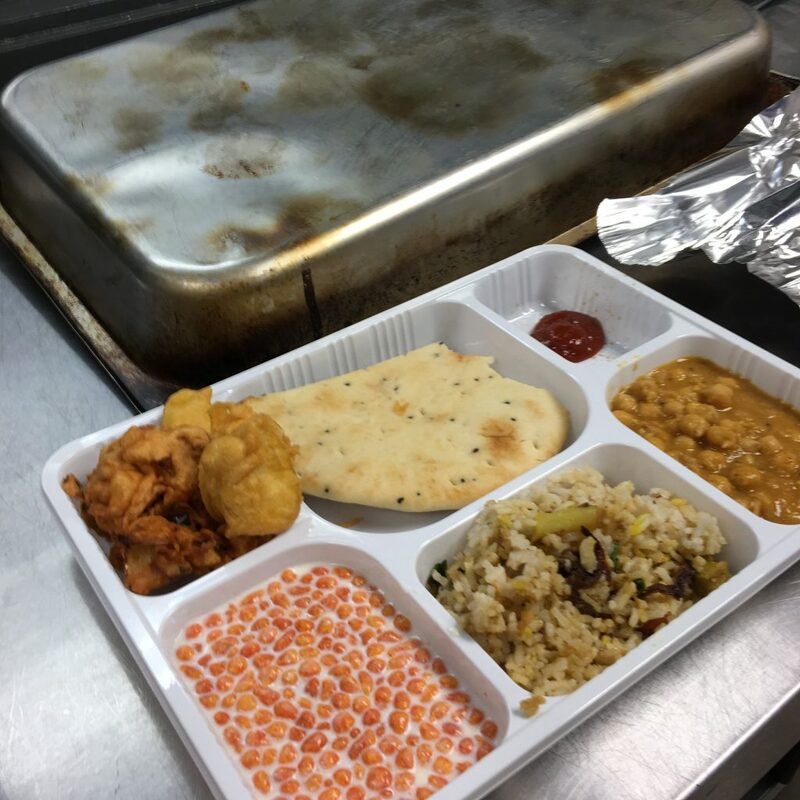 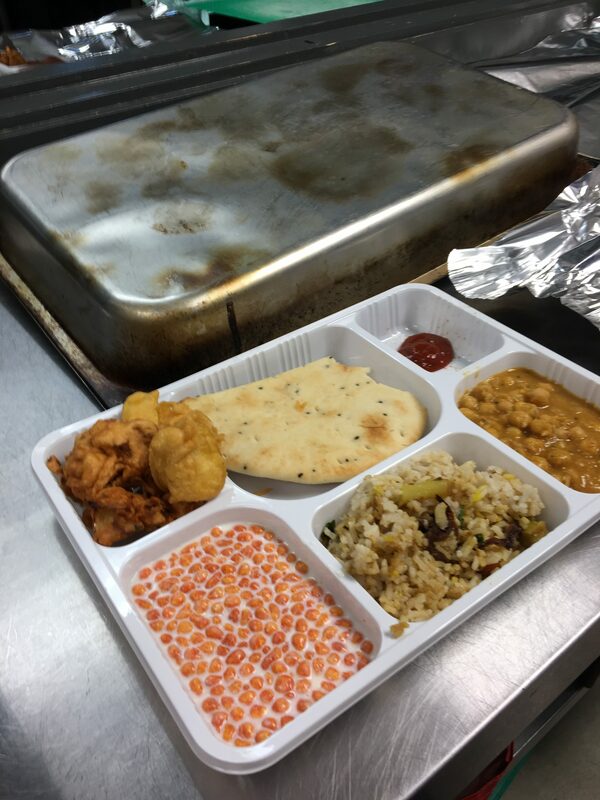 We also held a Diwali themed Community Kitchen, where we decorated our space with beautiful brightly coloured material that we borrowed from our lovely friends from the Hare Krishna temple in Watford. .
To ensure it was an authentic Diwali celebration, our charismatic visiting chef Rajan from Best Western Plus Wembley cooked up a delicious thali for all to enjoy – complete with fresh onion bhajis, layered biriyani and raitha made from home-made yoghurt! 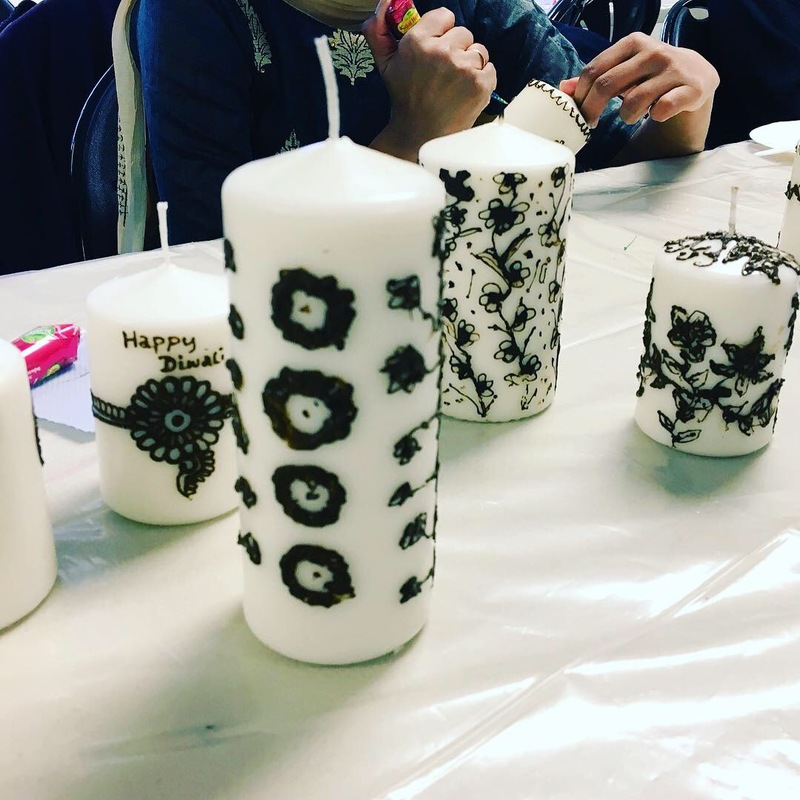 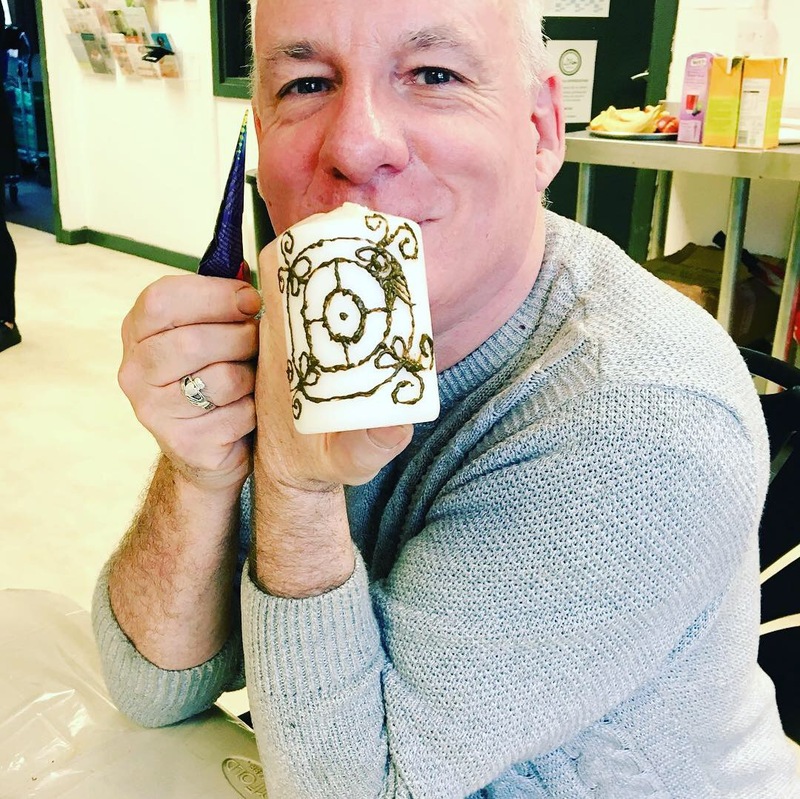 January 25, 2019 Ten Fundraising Ideas!